In 2019, millennials are the most common and widest group of target audience across all industries, so it is quite likely that your particular business/service also targets them in some form or another. Now, the real question to ask while designing a social media marketing campaign is, which are the platforms that have the potential to be the most effective in reaching millennials? The answer is a lot depends on the type of millennials that are more likely to become your customers. Nevertheless, surveys show that marketing through the following three platforms is, by far, the most reliable way to reach millennials successfully. Let’s get the obvious platform out of the way first, which is Facebook. There are more than one billion people on Facebook, out of the roughly seven billion total human population on the entire planet! More importantly, in this case, nearly 90% of the world’s millennial population has an active Facebook account, which makes the platform by far the number one on this list. 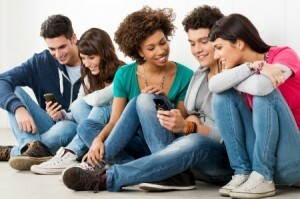 If you are marketing to millennials, you just can’t ignore Facebook. The site also has some ridiculously good tools for finding and targeting customers. The importance of YouTube as a marketing platform cannot be stressed enough and there are a number of reasons for that. First and foremost, YouTube is the world’s second most used search engine, right after Google. Second, unlike Google.com, YouTube is also a social media platform. The combination of these two essentially makes YouTube the ultimate place to market anything to anyone, but there’s more. Video content can deliver information to audiences at a much faster rate than any other form of media, and YouTube is basically a video website. Finally, a huge majority of millennials are more likely to search for product reviews, overviews, first looks, personal experiences, etc., on Google and YouTube first, before making a purchase decision. Popular YouTubers with millions of subscribers are social influencers and by using them, it is possible for any business to reach a record number of millennials in a matter of days. Even if you do not have the budget to sponsor a YouTube video, you can just upload quality videos on your own and as long as they have the right keywords in them, they will get views. Instagram is essentially an extension of Facebook since it is owned by the same company now. However, the platform provides a more streamlined experience by focussing more on visual media than anything else. The streamlined nature of Instagram makes it a platform that busy millennials prefer, especially since it’s faster and much less time-consuming. Instagram is also the perfect platform for businesses to catch the attention of their target groups with the help of visual media and in that respect, it is more immersive than Facebook is. Aside from these three, a business should also look for smaller platforms that are specifically built for the kind of millennials that they are looking to find. For example, if your products/services are typically meant for professionals, then you might find more promising leads by including sites like LinkedIn or Glassdoor in your social media marketing campaign. Are Some Social Media Platforms Better for SEO? « How Much Time Do You Waste on Social Media Each Day?